Getting rid of mice in your place of residence or business can be as simple as picking up the phone and contacting the best mouse control experts in town at (510) 900-8593. There are two primary ways that mice will get into your house. One, is that they simply snuck in through an open door of some sort. Or, they found, or created a hole in the building and are able to sneak in as they please. Once mice enter a building, they will often continue to create more and more holes inside a home as they continue to breed and reproduce. If there are mice sneaking in and out of a house, and the population has increased, our rodent control team will enter the property and inspect to see if there is are repairs that need to be done to ensure that the mice won't just return after we get rid of them. During our inspection, we will check for possible mouse holes, the gaps in doorways, and other possible entryways. Even in small groups, mice have capability along with other rodents to squeeze through really small entry points like underneath a door, and even doggie doors. After we identify the entry point, we will set up the mouse traps as well as repair any fixtures and entry ways that should be sealed up to prevent future mice infestations. ​Fill out the quote form or call (510) 900-8593 to set up an appointment with Pest Control Berkeley today! Effectively identifying and immobilizing the mice is the key component for mouse extermination. Mice infestation can turn into real big problems when the situation isn’t taken care of immediately. The importance of protecting your home, loved ones, and food can not be jeopardized by these small pheasants with their advantageously small size, squeezing through the small cracks in the wall or under doors is easy and must be stopped. Call one of the many professional mouse control experts we currently staff. The first step to getting rid of mice is to admit there is a mouse problem that must be addressed. It only takes typically one occasion of seeing a mice running around inside to expose the notion that there’s a mouse problem, and possibly worse, an infestation. Mice reproduce in large amounts extremely quickly. Normally, in the fall when the weather starts to get colder and days become shorter mice migrate indoors in attics, basements, attics, garages, between walls, within cracks and doors. When the mice head for the house, they tend to reproduce more and in volumes of one hundred fifty offspring. Mice reproduction is the precise reason if you spot a mouse running around there probably not the only one, and there’s probably a mouse infestation that must be fixed. The second step to getting rid of mice, after calling Pest Control Berkeley, is deciding what mice elimination method you would like to do. Many homeowner have several different options with variations. Our primary method is through mouse baiting, setting up mouse traps, and repairing any entryways where they could enter again in the future. 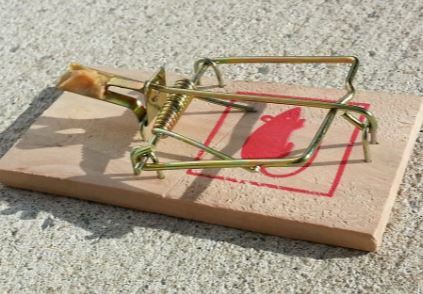 The most common mouse trap that we use is the snap trap, as it is usually the most effective and humane way to kill a mouse. Once a mouse steps on the trap, the trap will snap and break the mouse's neck usually killing it quickly compared to other types of mouse traps. There are other ways to trap mice that are humane and can allow them to be released into the wild. This will cost much more and usually will be a drawn out long process, but give us a call and talk to us about how we can handle your mouse problem in your home. Give us a call at (510) 900-8593 and get help by talking to one of our pest control service agents who can can talk you through our methods and get you an estimate for mouse removal and/or repairs. There are several different mouse traps to chose from when attempting to eliminate mice. A few of the most popular mouse traps include but not limited to: glue traps, loaded-mechanical traps, live catch traps, and bait traps. Glue traps are simply what they sound like, traps that have glue attached to the bottom of the trap for mice and other rodent to run through. Once the mouse runs through the glue, the trap will trap the mice immediately disabling itself from running any further. 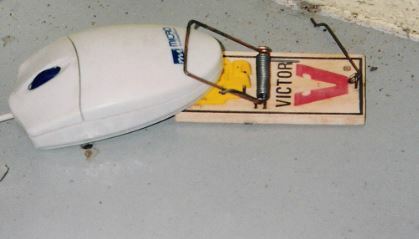 Some traps can immediately eliminate the threat of the mice and other traps are less harmful merely entrapping the forbidden mouse, releasing the creature in the wild, only for it to return soon to the property. Loaded-mechanical traps are typically the mouse traps that entrap the mouse from moving and eliminate the rodent from being a threat in the future. With any specific mouse trap it is crucial to have a pest control expert present when setting up mouse traps so that proper alignment of the traps is executed. One of the biggest problems homeowners make is failing to properly set up the right mouse traps in the right spots on the property. Carelessly designating mouse traps in your property recklessly can be a direct danger and harm to personal pets or children. Mouse trap safety is vital for any mouse infestation issue. The third step to getting rid of mice is more often to kill the rodents on your property using traps, and then removing them. 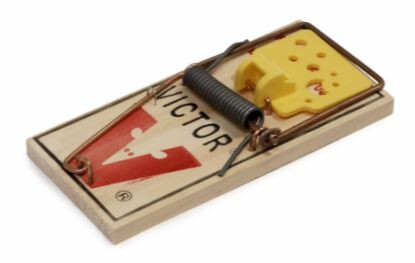 The most effect mouse trap to use when killing mice, is the snap trap, what many pest control experts refer to it as the most efficient,humane, and quickest way to taming a mouse infestation. These are the most dangerous mousetraps to deal with and should be dealt with ease every time. When setting up the snap mouse traps normally in the walls is the best spot for safety reasons as well as efficiency. Mice are usually hiding in the walls of a house and will come out at night when the house is more calm Snap mouse traps will immediately upon touch entrap and kill the rodent and are the better type of mouse traps for killing mice than other methods used. Releasing the rodent back into your yard or wildlife is hardly ever the best solution. Once they figured out that your home is the safest place to live, they are going to want to return and make your property a mouse house. As soon as you turn your head or its get dark the mice will find its way back in the property. The last step to getting rid of mice is cleaning up after the mouse extermination process. You may think it’s time to celebrate once the mice are gone but there is still work to be done. When the mice are gone, there are still likely several signs of mice in and around the property. If you have a professional mice control technician survey your property and signs such as mice droppings, and destructive cardboard, wood or plastic is found than a clean up process is needed. After handling the mice through mice traps, baiting techniques, and poison, and getting rid of the dead mice, there may be necessary repairs for the parts the house mice may have chewed through. Also, if the mice found a way through too big of an opening in your door, or some other part of your home, we can help repair the fixtures to make sure that there won't be any future mouse entries into your house.